A man named Lockwood arrives at the Wuthering Heights estate to meet Mr. Heathcliff, his landlord, who has rented him a nearby village, the Farm of Thrush. The reception can not be colder. Heathcliff's daughter-in-law, Catherine, and young Hareton Earnshaw also live in the house. The three characters seem to Lockwood incomprehensibly coarse and bitter. Mrs. Dean, who serves Lockwood at the Farm of the Thrush and looked after them as children, tells the story of the two families who live in the area, the Linton and the Earnshaw. 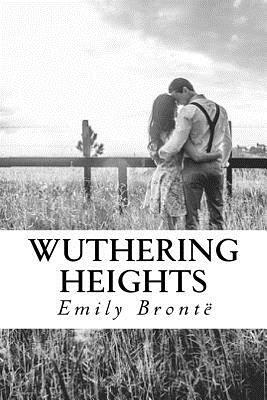 Mr. Earnshaw, owner of Wuthering Heights, brought Heathcliff, an abandoned child, home one day to raise him as his own. Earnshaw's children received Heathcliff with surprise. With time, the daughter, Catherine, became a good friend of him, but the eldest son, Hindley, detested him and lost no opportunity to humiliate him within the hazy, dark moors of Yorkshire; These are the singular scenario where this story of revenge and hatred, of unbridled passions and desperate loves that go beyond death develops with rapturous force.